The marital feuds of strangers have long intrigued our degenerate species. It’s a timeless topic that keeps several magazines afloat, even if literally none of the details are true. But what most don’t know is that celebrities (and commoners) aren’t the only ones who get divorced—sometimes, actual stars do, too. About 540 years ago and roughly 1,344 light-years from Earth, a star cluster within Orion Nebula had a pretty nasty breakup; an unknown incident sent two stars speeding off in different directions. While astronomers have observed these wayward stars for decades, tracing them back to the same location 540 years ago, something about the situation didn’t sit right. For one thing, their combined energy didn’t seem enough to kick them apart at such rapid speeds. Now scientists using the Hubble Telescope have found a third “runaway” star that could explain this unusual parting. The team’s findings will be published today in The Astrophysical Journal Letters. The researchers traced the motion of this third star back 540 years and found that, like the other two, it had once existed in the Kleinmann-Low Nebula, the most active star forming region in the Orion Nebula. 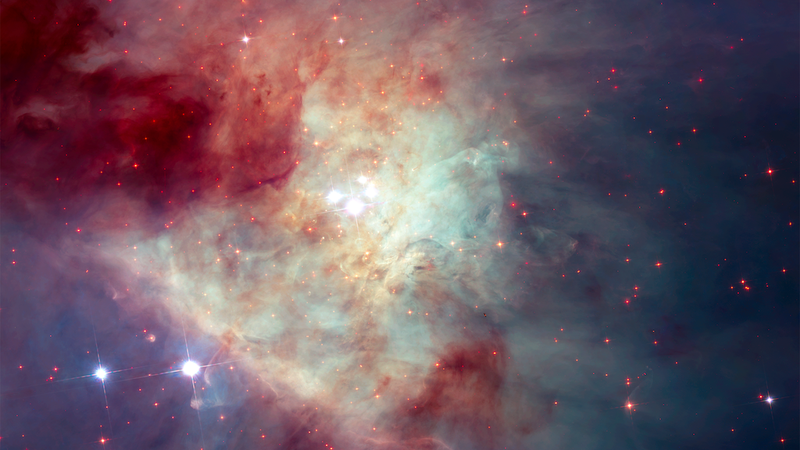 According to lead researcher Kevin Luhman of Penn State University, he and his team at Hubble accidentally stumbled across his so-called “source x” while using the telescope to search for rogue planets in the Orion Nebula. A system such as this one breaks apart when two of the member stars move so close together that they either merge or form a tight binary. This close encounter releases so much energy that it flings all member stars in the system outward, sending them in different directions at super high speeds. In this case, not only did the two member stars get a divorce, their only child also ran away, so yeah, talk about a rough 600 years. With new instruments like the James Webb Telescope, which is set to launch in October 2018, astronomers will be able to examine the Orion Nebula in unprecedented detail. Hopefully, they can find more runaway stars in the universe looking for their lost family members—or at least someone to notice them. Oh, stars. They’re just like us!